Love exists in many forms. It can be passionate love, romantic love, familial love, or even platonic love. 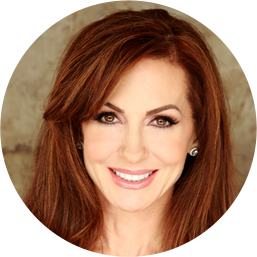 In this episode of The Brain Warrior’s Way Podcast, Dr. Daniel Amen and Tana Amen are once again joined by Natalie Buchoz for a continuation on the discussion of the many faces of love. This episode focuses on Phileo, or brotherly love, which is the love that exists between close friends. Tana Amen:	And I'm Tana Amen. In our podcast we provide you with the tools you need to become a warrior for the health of your brain and body. 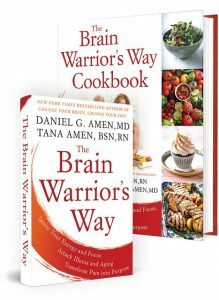 Dr. Daniel Amen:	The Brain Warrior's Way Podcast is brought to you by Amen Clinics where we have been transforming lives for 30 years using tools like brain SPECT imaging to personalize treatment to your brain. For more information visit amenclinic.com. Tana Amen:	The Brain Warrior's Way Podcast is also brought to you by Brain MD where we produce the highest quality nutraceuticals to support the health of your brain and body. To learn more go to brainmd.com. Dr. Daniel Amen:	Welcome. I'm here with a mother's love who will rip your face off. Tana Amen:	We're talking about love. Everyone who is a mother knows that if you threaten a child, we'll rip your faces off. Right? No, seriously we're talking about love. Today we're talking about philia. Right? You say philio, I say philia. It's platonic love, friendship. Right? Dr. Daniel Amen:	Philadelphia is the city of brotherly love. Natalie Buchoz:	Yes. And in previous episodes for love we talked about passionate love also known as eros. We talked deeply about relationships and how you two make it work in your relationship. Not just romantically and intimately but also most importantly on a friendship level. How do you two communicate day to day that helps you be better partners and better for your children. Let's talk a little bit about that. Tana Amen:	That's interesting because I think part of what adds to our relationship, even adds to the passion ultimately is that we are such good friends. Tana Amen:	Like, you're the person that I call when anything happens, probably much to your, you probably don't always want me to do that but that's what I do. I mean, anything happens and I call you. When something happens in your day, you call me and so that ultimately bonds us even more. So many people are mistaken, I think about foreplay. Foreplay starts long before you guys are together in the bedroom. Correct? Don't you think. Dr. Daniel Amen:	Well, for girls it does. For the boys it starts immediately. Whenever you're interested. You know our friend [inaudible 00:02:27] Yeah. Doesn't take much if your testosterone level is near normal, it doesn't take much from the women we love. But let's start with a review. There is one that I really like that is appropriate here, it's called Can't Say Enough. I watched this particular podcast with my husband. We have experienced difficulty communicating successfully in the past. I found the information very appropriate to our problem. Thank you for the practical examples for change for the betterment of our marriage and for the encouraging way it was presented. The Brain Warrior's Way truly has helped us understand and better live with each other using a healthy lifestyle. Tana Amen:	I love that. That was my favorite book to write. Dr. Daniel Amen:	Friendship. They are so important. When your socially isolated it actually increases your risk of not only depression but also Alzheimer's disease. Natalie is our Social Media Director and the more kids actually spend on social media the more they're lonely and the more they're depressed. Why do you think that is? Natalie Buchoz:	That's a good question. We talk a lot about gadgets and how addictive they are and how easy it is to be consumed with social media and things that seem unattainable and to focus on things that you don't have rather than be grateful for things that you do have. We talk a lot about gratitude and journaling and reminding yourself daily why you're on this planet but also what you do every day that matters to you and can help you in your life and it's really easy to scroll in your Instagram and be like, oh, this person is in the Bahamas. This person is getting married. This person is pregnant. Tana Amen:	Or look how perfect they look, by the way. Natalie Buchoz:	Yeah. Oh, look how skinny they are and I think it's real easy for people to focus on that and not be able to, like I said kind of focus on what makes them special, what they value and what their purpose is in the world. It's gets really muddy especially as a young adult. Tana Amen:	The funny thing is even my daughter, who I think for her age is pretty grounded. Tana Amen:	She will do that. She'll start going through Instagram and all of a sudden she'll see kids she used to go to school with and she's like, who looks like this? Tana Amen:	Who, then she'll automatically go, why do so many of these girls look like this? There is a significant number that are posting pictures looking sort of like super models and I laugh. I go, honey, I used to do the same thing but here is the truth, super models don't look like super models because my day, my era, they airbrushed them. Right? But now it's so much easier. You just download an app and you look perfect. Natalie Buchoz:	Oh, my gosh. Oh, yeah. Tana Amen:	I'm sorry but it's just like, the pressure to post pictures that look perfect is so high. Natalie Buchoz:	And the pressure to continually to post. So, not even just to post pictures that are perfect but to be present on social media. Like, how many young kids do you know that don't utilize social media? Can you really name any? Natalie Buchoz:	And if you are that person that isn't utilizing social media, does that make you somewhat of an outcast? You're not fitting in. Dr. Daniel Amen:	We're talking about someone you're lusting after? Dr. Daniel Amen:	I see. Tana Amen:	But I thought that was so fascinating because they didn't want their kids growing up with that. Dr. Daniel Amen:	I want you to notice that that does not bother me. Tana Amen:	You talk about Scarlett. Dr. Daniel Amen:	Unless she has a real thought about someone else. Tana Amen:	Are you kidding me? Dr. Daniel Amen:	Too often people who are insecure take that as, oh, well, then you don't want me. Tana Amen:	Oh, no. No. Dr. Daniel Amen:	And that causes all sorts of drama in relationships. Tana Amen:	If that were true then Scarlett and Amy Adams. I would be in big trouble because yeah. I know your girls. Dr. Daniel Amen:	What did I say to you on the way up in the elevator? Tana Amen:	So, wait. But here is the difference between me and you. I talk about Jason with you, unfortunately because of who you are, I'm sitting at home one day while you're traveling on a business trip and all of a sudden my text comes through and it's you with Scarlett Johansson and I'm like, what? How does this happen to you? Do you see the grin? Did you see the grin? Natalie Buchoz:	Yeah. He loves it. Dr. Daniel Amen:	That was an awesome picture. Tana Amen:	Of course, it was. That's the difference. Dr. Daniel Amen:	I remember leaving the interaction, she is very sweet, going my wife is so much prettier. Tana Amen:	Totally not true but so sweet to say that. Dr. Daniel Amen:	That's exactly what I told you. Right? Tana Amen:	Oh, of course you told me that. Dr. Daniel Amen:	I didn't make that up. Right? I could have just gently not said anything. Tana Amen:	You're so sweet. You're very sweet. Dr. Daniel Amen:	Alright. Friendship. Natalie Buchoz:	Talking a little bit about what we just mentioned with social media and whatnot. One of the reasons why I wanted to do relationship week and I think it is so important. We get so many questions on social media about this. If you're an extrovert, dating seems a little bit more easy for you. You're a little bit more out going. It's easier to talk to people but what if you're introverted? How does that kind of differ with the way that you start dating someone and start opening up to somebody because that's a different process. Tana are you more introverted? Natalie Buchoz:	And Daniel, I think I can kind of answer that one. Tana Amen:	It doesn't seem like it but I'm more introverted, he's more extroverted. Dr. Daniel Amen:	That's not true. Dr. Daniel Amen:	It's not true. Tana Amen:	No, so what you see, when I'm in public you will see me, my personality will be outward but my preference is to be home in my PJs not around a lot of people. No, I'm serious. So when I first meet people I will appear confident but a lot of what I will say is not deep initially and even when it is, sometimes I've already thought about it. It takes me time to trust people. Like, I'm not going to just like open up to everybody. Dr. Daniel Amen:	That has a lot to do with your background. Tana Amen:	Oh, yeah. I'm looking behind me. I'm looking around me. I want my back to the wall. But I prefer being home. Dr. Daniel Amen:	Just so people know the difference, people think introverts are quiet and not extra loud. That's actually not it. It's where do you get your energy. Dr. Daniel Amen:	Do you get your energy from being around other people or do you get your energy from being by yourself. Tana Amen:	Yeah. Or just with your core people at home. Dr. Daniel Amen:	Now, I'm one of seven so I was sort of trained you had to go after the food on the table or there wouldn't be any. Tana Amen:	When you say you're going to share something with him you have to like protect your half. Natalie Buchoz:	That's really funny. Tana Amen:	The difference, so here is a perfect example. He loves New York, New York is exhausting for me. When we go to Hawaii my idea of going to Hawaii is going to Kauai where I can hike and be off the grid. His idea of going to Hawaii is going to Waikiki. We're just very different that way. Dr. Daniel Amen:	So, how do we navigate? Tana Amen:	We respect each other enough so we'll often do both. Dr. Daniel Amen:	So, give and take. We think about philia or friendship love, is it mutual and one of the ways you can tell is when you ask someone how they are. Do they just launch into all of the problems in their life or do they give you a short answer and then go, how are you doing? That is so important because we've all been around those people that sort of drain our energy because it's not mutual and for us it's mutual. We often, how was your day? What are the stresses? And one of the rituals we do, I make her her pumpkin pie spice cappuccino in the morning and we sit and talk but we often start with, so what's going to be great about your day? So, that little habit. That little tiny habit we talk about a lot. Tana Amen:	I love rituals. Dr. Daniel Amen:	Then at dinner time or at the end of the day, it's like well, what went well for your day? Tana Amen:	And it's okay to talk about things that didn't go well but we want, I like rituals because it really does set the foundation. It sets the sort of structure for how you guys behave as a family. Tana Amen:	Where did that come from? 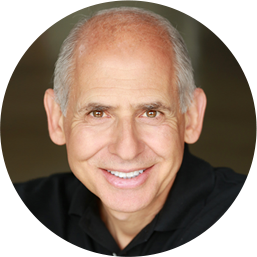 Dr. Daniel Amen:	Seen rituals that are helpful. Tana Amen:	Do you see, do you see what I deal with? It's the left field comments are just so bizarre sometimes. Dr. Daniel Amen:	I know we actually, our daughter started dating. So, when we go to brunch often on Sundays and the conversation he said yesterday, my brain just hurt because we ended up talking about the Doctor Oz segment I did with past life regression and channelers and all of that. But that's what friendship is. It's sharing and it's caring and it's mutual. Right? When you're with someone and they go, how's your day? Immediately start thinking, I wonder how their day is as well? Dr. Daniel Amen:	And then you demanded that I retire. Tana Amen:	Yes. Only you didn't, you started working more. Then I'm like, woo. Okay. It really is important to make sure even if you don't have a ton of time, be sure you're nurturing certain friendships. Dr. Daniel Amen:	So, before we finish this. We're talking about friendship love. I want you to quickly talk about mentors. Tana Amen:	Why they are so important? Tana Amen:	I think mentors are just critically important because I really like the idea that when you don't know what to do, when you're stuck, there is someone who does know. Right? And so, often times I'll be talking to people or coaching someone and they just don't know how to start, where to start, what to do and what you can do, I love what Tony Robbins says, success leaves clues. So, ever since I heard that in my 20s I was like, oh, I'm just going to find someone who's doing what I want to learn how to do or who has accomplished what I want to accomplish and I'm going to follow that person and yep, I'm going to copy them. I'm just going to copy them because that's really important to be able to do. So, I have mentors in each area of my life. So, business, spiritual, relationships, love. I have mentors in each area because I think it's really important to be able to have something to strive for and I often say I want to be the dumbest person in the room. Do not make a comment. I often say I want to be the dumbest person in the room, right now is a good time to use your frontal lobes. But what I mean by that is I want my friends to be smarter than me. More giving than me. To be more successful than I am because that gives me something to look up to, to strive for. Natalie Buchoz:	I like that. Dr. Daniel Amen:	You become like the people you hang out with. People are as contagious as this wicked flu that has been going around. Tana Amen:	But I also think it's important to be able to influence others and give back what you've learned. Dr. Daniel Amen:	Right. We're going to talk about other different kinds of love when we come back. Stay with us. Tana Amen:	If you're enjoying the Brain Warriors Way Podcast please don't forget to subscribe so you'll always know when there is a new episode and while you're at it, feel free to give us a review or five star rating as that helps others find the podcast. Dr. Daniel Amen:	For more information give us a call at 855-978-1363.